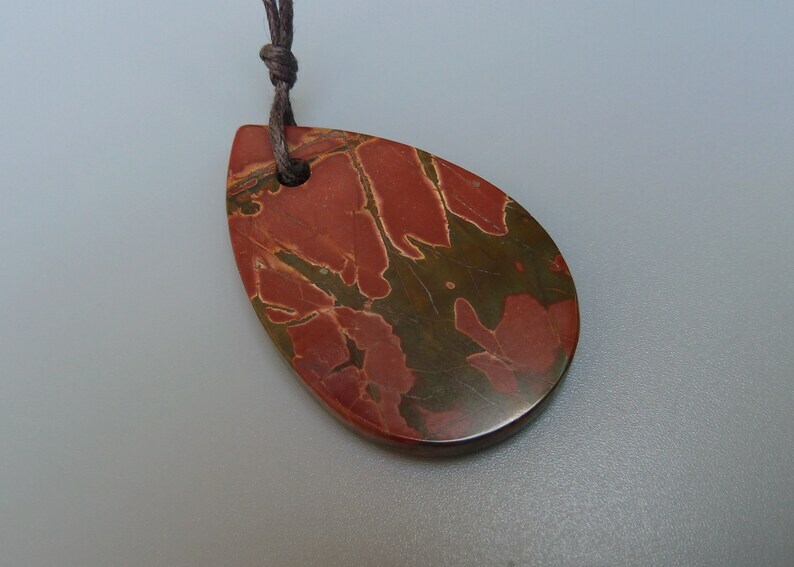 This listing is for one Red Creek or Cherry Creek Picasso Jasper rectangular shaped drilled pendant bead. The colors in this exquisite pendant include brick red, dark green, and mustard yellow. The back side shown in the fourth picture is just a pretty as the front. Colors: brick red, dark green, and mustard yellow.